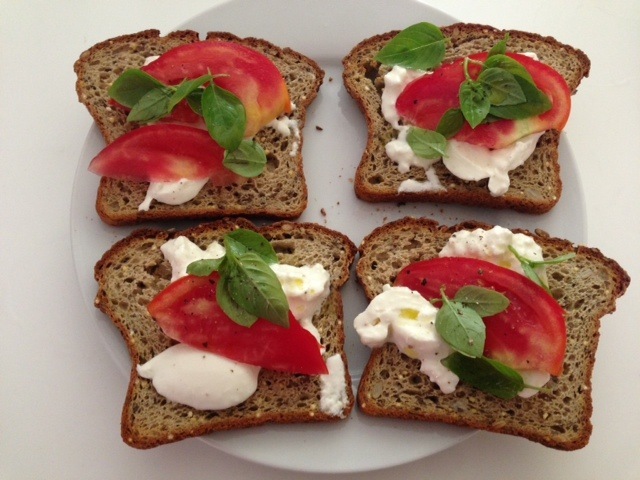 You can probably tell that burrata is pretty delicious since we are writing another post about it! This recipe took no time to make, and was one of the most delicious meals on record. Creamy, and refreshing all at the same time! 1. Prep your ingredients: Rinse, and cut your zucchini into small slices. Cut your lemon in half. Add water to a pan, and bring to a simmer. 2. Cook zucchini: Once simmering, add your zucchini strips into the water, cover and let simmer for 5 minutes. With a slotted spoon, remove the zucchini from the pan, draining the water. 3. 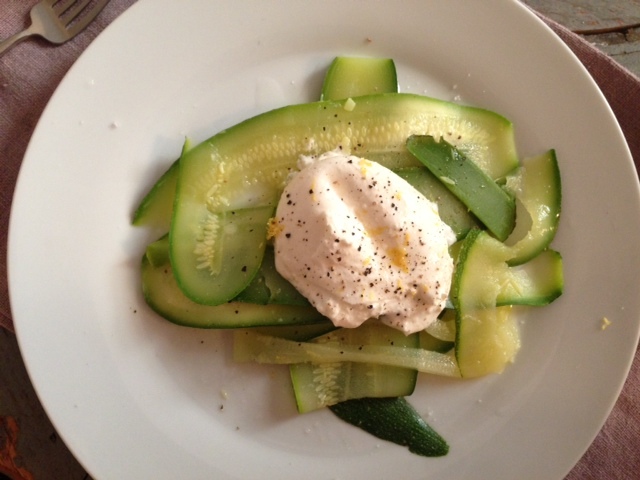 Plate: Place your zucchini onto your plate, top with burrata, lemon zest, lemon juice, and pepper. It’s easy to dress up quinoa, since it provides such a neutral base. 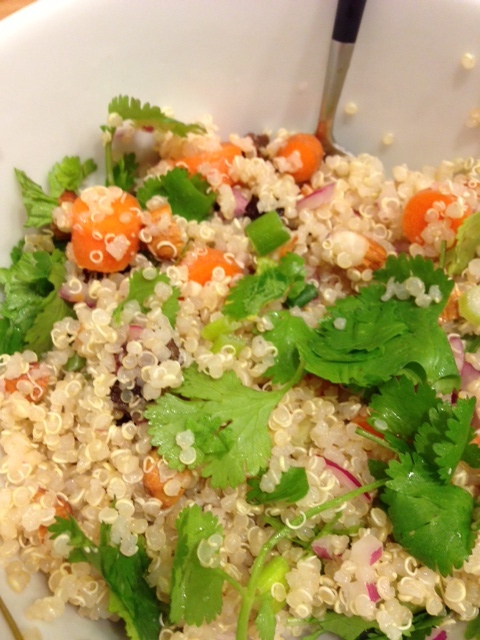 Use up lots of goodies sitting your fridge with this delicious, nutritious, and quite stunning quinoa salad. 1. Cook quinoa: Place quinoa in a pot, with 2 cups of water. Bring to a boil, then to a simmer. Once all water is absorbed (about 20 minutes), remove from heat and cover for 10 minutes. Then fluff with a fork. Cook more quinoa if you want to use some later in the week, place in a container and refrigerate. 2. Prep your ingredients: Chop carrots, scallions, raisins, almonds, red onion, rip cilantro, and in a separate bowl whisk up lemon juice, maple syrup and olive oil. 3. Assemble + cool: Add all your chopped goodies into the cooked pot of quinoa, mix well. Pour dressing over, mix again. Cool in the fridge or eat right away. You’ll be amazed at how delicious quinoa is! Of course, feel free to use whatever you have in your fridge. This salad would taste great with all sorts of other veggies like mushrooms, peas, beets, kohlrabi, edamame, sunflower seeds, pepitas…the possibilities are endless with this versatile super-seed! Wondering how to get in super nutrition in almost no time? Incorporate these vitamin and mineral jewels into your lunch, dinner or breakfast repertoire and your skin just may glow, your immune system might get stronger, and your cravings for sweets may slowly diminish. Use your time in the kitchen wisely, and when you’re making dinner the night before pop a few in the oven on 400F and let roast for 1 hour (this method will increase the sugar content), or cut them up into pieces and steam them until soft (this method will lessen the sugar content). A great way to increase the beta carotene benefits of sweet potatoes is to eat them together with some healthy fats like olive oil or nuts. To increase the fiber benefits make sure to also eat the peel! 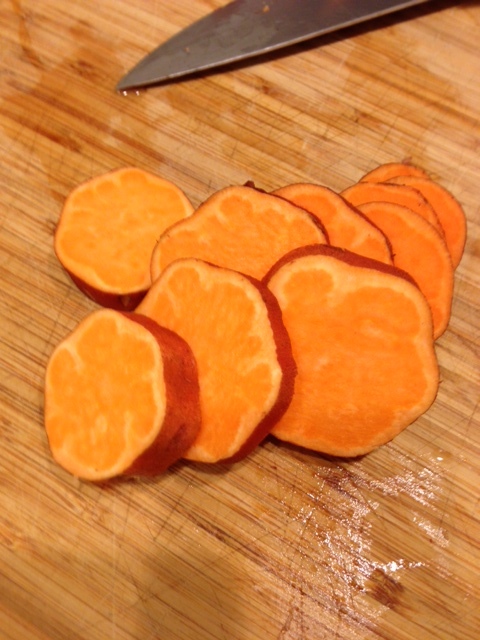 Rinse, then chop up sweet potato into 1 inch slices, then in half. Add water into your pot, along with a steamer basket. 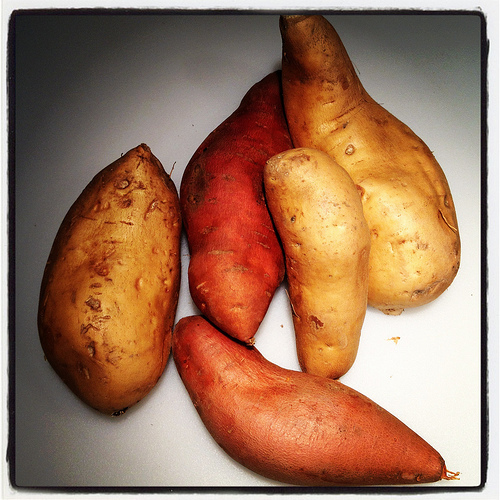 Once water reaches a boil, add sweet potatoes, cover and let cook for 7-10 minutes, until soft. Breakfast: Blend your steamed sweet potatoes then add a touch of maple syrup and top with cinnamon and walnuts (or seeds) or oats/granola/muesli. Lunch: Add the steamed pieces to brown rice or quinoa with a lemon dijon vinaigrette (olive oil, lemon juice, dijon mustard, garlic, sea salt, black pepper). Dinner: Mash with some olive oil, salt, pepper as a healthy side, add steamed pieces to a stir fry, or blend into a soup with some ginger. You can’t go wrong with these stellar spuds! Turmeric is pretty in these days, and for good reason! Known as an anti-inflammatory, natural antiseptic, liver detoxifier, wound healer, free radical safeguard, and digestion helper, turmeric is special indeed. 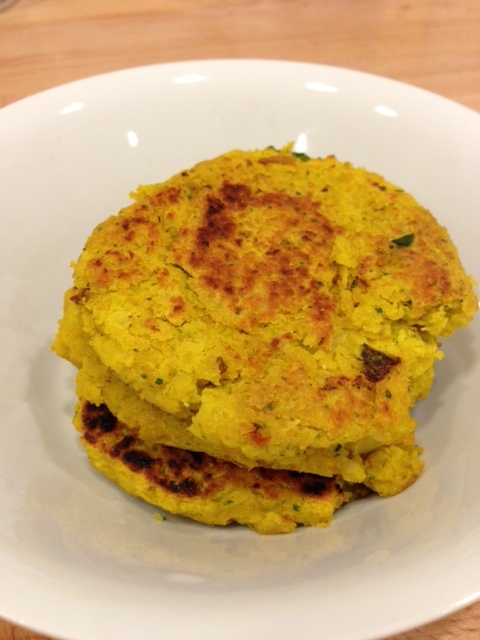 Add in some turmeric to spice up regular ole chickpeas, and mix it all together for a delicious bean burger! 1. Prep your ingredients: Toast bread, chop onion, mince garlic, rinse and pluck cilantro leaves. Make aioli (optional) by mixing vegannaise and garlic together. Blend toasted bread in food processor to create homemade breadcrumbs. Leave in for the next step. 2. Blend and make patties: Add chickpeas, spices, lemon juice, zest, olive oil, salt, egg, cilantro and onion into the food processor. Blend until mixed well. Create small patties, stacking them on a plate. 3. Cook. Take out a medium sized sautee pan. Over medium/high heat, add canola oil. Place patties into the pan, cooking on each side for 5 minutes. Repeat until all patties have been cooked, adding in more canola oil as you go to prevent them from sticking. 4. Eat. Place on a plate then garnish with cilantro using your aioli as a tasty dip, or try it out with some slices of avocado, or even sprouts! For an everyday way to incorporate turmeric into your diet, try this delicious smoothie recipe!